Send your best wishes to your dad with a customized happy Father’s Day card. Description: Father is the one who takes all his efforts to teach you, protect you and make you grow up healthily. 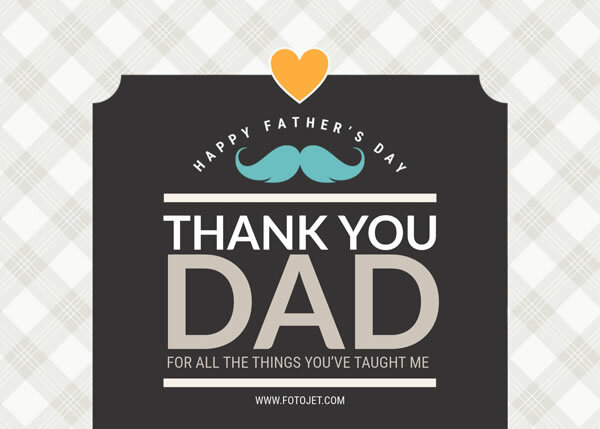 On such a special day for fathers, you may want to transfer your happy Father’s Day wishes to show how much he means to you. If you want to come up with a good gift idea, making happy Father’s Day cards will undoubtedly be it. And this template is geared towards helping you make such designs. Simply add your messages can make a Father’s Day greeting card for your daddy.